Sun Peaks vacation rentals, consisting of Sun Peaks condos, Sun Peaks townhouses, Sun Peaks chalets, and Luxury Sun Peaks Executive homes, are a wonderful way for families and groups to stay together and explore all the award winning skiing and biking, as well as many other wonderful summer activities, fall activities, and winter activities at all-season Sun Peaks Resort. As part of our 'Best Sun Peaks' theme, we want to share and promote the best of the Sun Peaks Vacation Rentals that we come across. 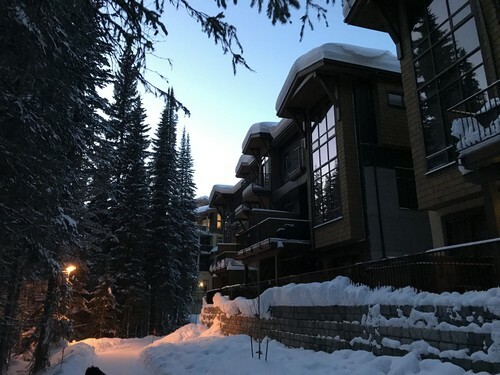 These resort vacation properties are typically all set up to be your Sun Peaks home-away-from-home and come fully equipped to help you ensure you have a wonderful Sun Peaks holiday at beautiful Sun Peaks Resort no matter the season. Do you need Sun Peaks vacation planning tips or Sun Peaks travel directions? 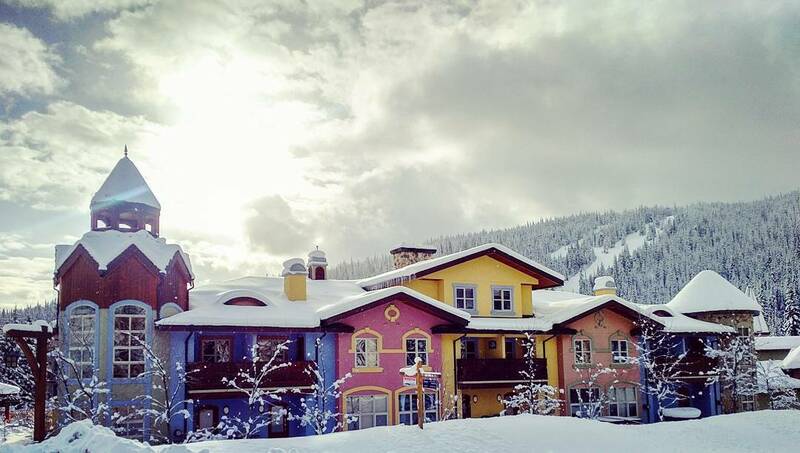 Do you prefer a Sun Peaks Hotel? Look at the accommodation options below and/or feel free to contact us and let us know what you are looking for - we will try our best to help find great accommodation at a great price! Avoid the hidden online booking fees charged by the big guys. 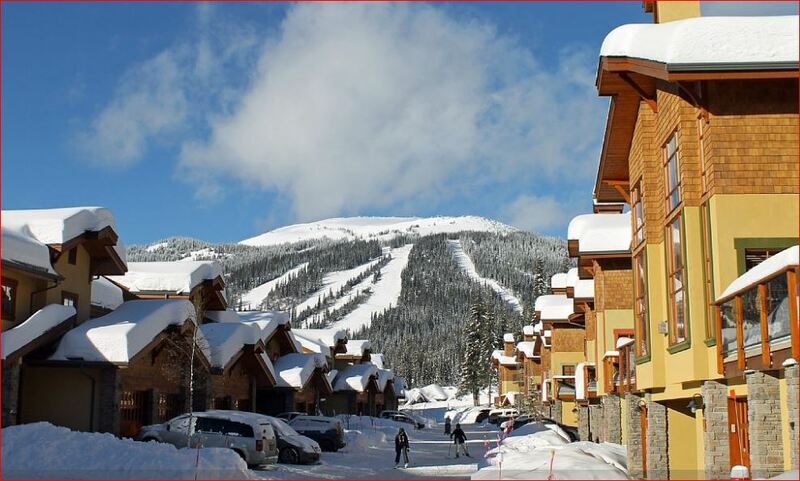 Book your Sun Peaks ski vacation accommodation direct from owners to save on Best Sun Peaks Vacation Rentals. Choose from a beautiful 3 bedroom condo in Stone's Throw, 2 or 3 bedroom townhouse in Trail's Edge, 4 bedroom townhouse in Trapper's Landing, 3 bedroom townhouse in Timberline Village, 3 bedrom townhouse in Crystal Forest or a brand new 3 bedroom plus flex room townhouse in Village Walk. Avoid the VRBO and Airbnb booking fees by booking direct with the trusted owners to save an average of 10%. Each have different features, such as a hot tub, extra bathrooms, larger rooms, more storage, or easier ski-in and ski out, but all meet and surpass our expectations in terms of cleanliness, service and overall comfort and satisfaction. Kamloops area or Southern Okanagan winery tours or craft beer tours with pick-up and drop-off at Sun Peaks Resort. Are you interested in Sun Peaks Real Estate or looking to buy your own Sun Peaks ski chalet or other vacation property? New, private hot tub with views of the 16th fairway of the Sun Peaks golf course and Mt. Tod and Sundance Mountain at the back and Mt. Morrisey from the front. See the BestSunPeaks condo page for more information and to book direct and save. 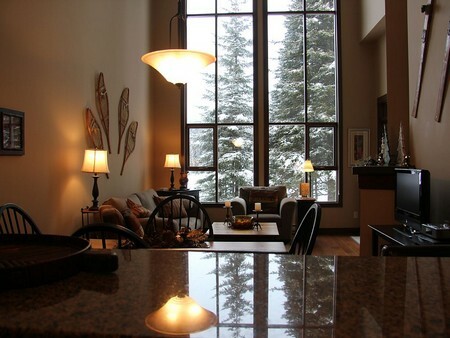 Click for more Best Sun Peaks Condo Rental details - book direct and save the booking fees! **SPECIAL OFFER** - 10% off posted rates for March 2-7 (4 night minimum), 11-17th (5 night minimum) or April 8-11 (3 night minimum). This beautifully upgraded, four (five) + bedroom, three-level townhouse in Trapper's Landing, new to the rental market in the fall of 2016, is perfect for families who wish to enjoy the many year-round activities available at Sun Peaks, or even for 2 families who wish to spend time together but also enjoy having their own space with our second kitchen and living/entertainment area on the lower floor. Private garage - just drive your small car in, unload and have fun, with room outside for a 2nd car! Spacious and fully equipped kitchen with stainless steel appliances and heated floors, dining room with soaring vaulted ceiling, and family room with river rock fireplace, widescreen tv with PS3 and Netflix for hours of family entertainment. 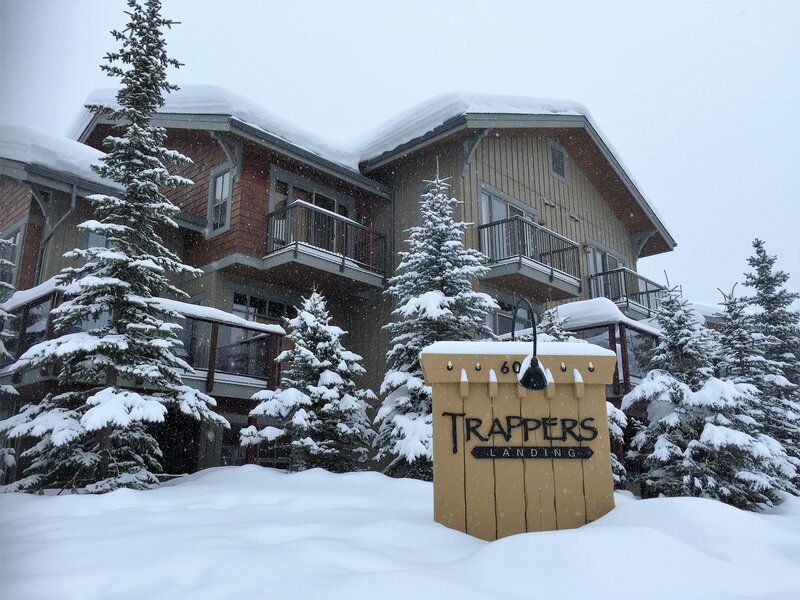 Click for more Trapper's Landing Best Sun Peaks Townhouse Rental details - book direct and save the booking fees! We are pleased to be able to add this beautiful, brand new, 4 bedroom (3 upper bedrooms plus lower flex room that sleeps 4), 3.5 bathroom, luxuriously upgraded townhouse with private hot tub, in the convenient and centrally located Village Walk complex to our list of available Sun Peaks Vacation Rentals By Owner. We met the owners and viewed this townhouse recently and it is wonderful! Large windows facing greenspace and McGillivray Creek with beautiful views of Mt. Morrisey and Tod Mountain. Book direct with the new Village Walk vacation rental owners directly and save. Click for more Village Walk Vacation Rental details. 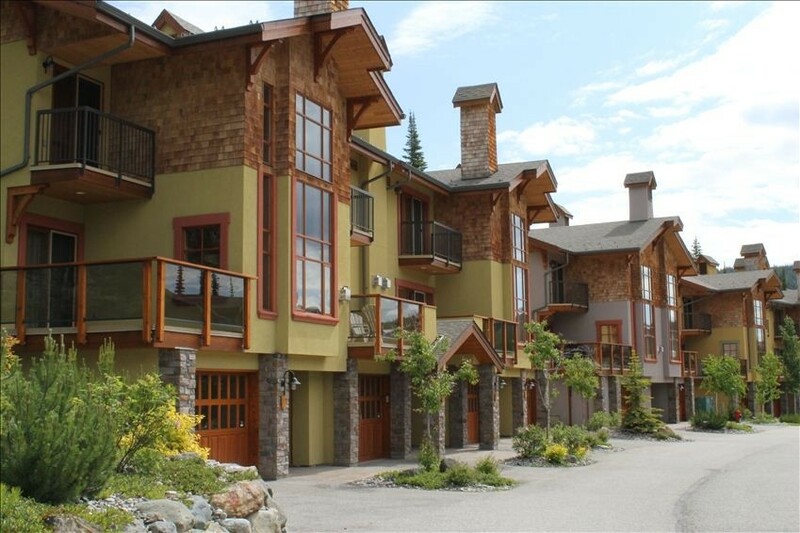 Trails Edge #15 townhouse is a lovely townhouse and is back in the Sun Peaks Vacation Rental pool as of August 2016 with caring and attentive new owners who strive to ensure your family loves this Sun Peaks townhome as much as their family does. This 1,800 square foot, 3 bedroom and 3 bathroom townhouse, and is great for either a large family, or for even two families, since it sleeps up to 12 people. It includes a games room on the ground floor, with a large flatscreen tv, games console, and foosball table to keep the children occupied and happy after a tiring day on the slopes or trails. 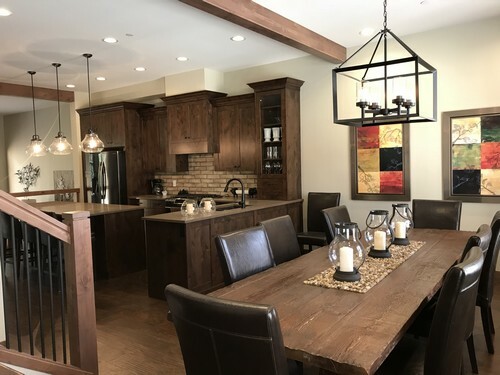 The main floor of Trails Edge 15 features a well-equipped kitchen, comfortable living room with flatscreen tv, pullout couch, vaulted ceiling with high windows and beautiful mountain views, and a dining room that can comfortably sit 8 at the table and more at the elevated kitchen bar. And the kitchen and dining room have heated tiled floors, of course! There is also a main-level bedroom, with a twin over queen bunk-bed and 3 piece bathroom right across the hall. The private hot tub and barbeque are also easily accessed right from the walk-out door in the kitchen, and the spacious front sundeck has a patio table with umbrella, seating for 6, and more great mountain views. Grab a book, play some board games, watch a movie, do a puzzle, or just relax after a great day exploring the Sun Peaks area no matter the season. Each of the Trails Edge 15 bedrooms on the top floor has an ensuite which is a huge bonus! The master has a comfy queen size bed and a twin trundle/pull-out bed just in case the little one wants to be close. It also has a large tv, dresser, 4 piece ensuite with heated tile floors, and your own balcony with mountain views. The second bedroom has a queen size bed, tv and its' own spacious, 4 piece ensuite with heated floors! This Sun Peaks vacation rentals property provides for a lovely home-away-from-home with everything a family would want, including a garage that fits one car with space out front for another. Guest parking is also available throughout the Trail's Edge development on a first-come, first-served basis. Ski-in/ski-out is easy using either the Morrisey Express chairlift or the exciting new Orient Express Chairlift (December 2018). Book direct with the owners of Trail's edge 15 to get the best rates and save the online booking fees. This Crystal Forest townhouse, known as the "Fox and the Hound Den" - is a very cozy, comfortable, affordable, clean and well-stocked 3 bedroom townhouse in a very popular and central location. Owners Courtenay and Fox work hard to ensure their Crystal Forest guests have a Best Sun Peaks Vacation as well, and this townhouse is set-up nicely to accommodate up to 8. Crystal Forest is one of the most unique and easily-distinguishable complexes in Sun Peaks and this well maintained unit is priced right and set up for a wonderful family vacation in Sun Peaks. 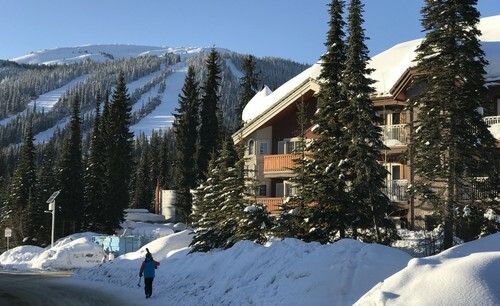 Book direct with the owners of this Crystal Forest Sun Peaks Townhouse to get the best rates and save the online booking fees. This lovely Timberline Village townhouse in Sun Peaks offers 3 bedrooms, 2 bathrooms, 1,200 square feet of living space and can sleep up to a maximum of 6 people. Sun Peaks Timberline Village is conveniently located less than 5 minutes from the ski lifts and the heart of Sun Peaks village, and you can easily ski-in to this Sun Peaks vacation home at the end of the day via 'Gentle Giant' from either the Village Platter or the Sundance Express chairlift. The top level of this Timberline townhouse has three bedrooms and a 4 piece bathroom. The master bedroom has a comfy king-size bed, in-suite laundry, and a small patio. The second bedroom has a queen-size bed, and the third bedroom has a twin-size bunk bed for the kids. The second level has the dining room with table seating for 6, living room with a queen-size sofa bed, and an open concept kitchen with an island, 3 counter stools, and a nearby second bathroom. The second level also has a spacious deck on either end which allows for lots of light, and there is a private hot tub located on the deck nearest the living room and barbeque near the dining room deck..
Book direct with the owners of this Timberline Village townhouse to get the best rates and save the online booking fees. 3-level, 2 bedrooms with entry-level den, 2 ½ bathrooms, ski-in, ski-out townhouse in the popular Trail’s Edge townhouse complex that sleeps up to 9. Entry level includes a washer and dryer and a den with a television and 2-sets of twin bunks (4 beds). Second level has a door to the front deck with beautiful mountain views, a back porch with a bbq and hot tub, 2-piece bathroom, fully equipped kitchen, dining area and great room with a flat screen TV, gas fireplace and pull-out couch. The third floor has 2 bedrooms, one with a queen bed and ensuite and the second with a twin over queen bunk bed. Both rooms have televisions, dressers and clothes closets. There is a second full bathroom on this level. 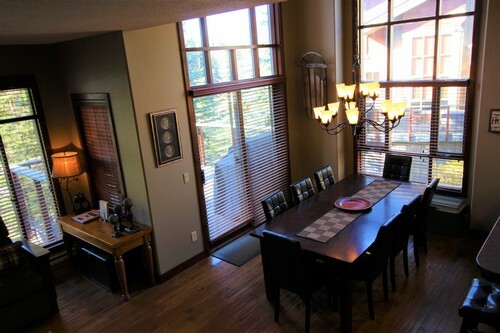 This Sun Peaks vacation rental townhouse is owned by friends of ours who are well-respected in the Sun Peaks community and also work hard to ensure their guests have a wonderful Sun Peaks holiday. Book direct with the owners of Trail's Edge #4 Townhouse for best rates. Contact us for advertising/listing/promotion opportunities on this page. We also have an affiliation with Top of the Mountain Accommodations at Sun Peaks and are able to offer Best Sun Peaks discounts of 10% on more than 60 other Sun Peaks Vacation Rentals, including condos, townhouses and beautiful ski chalets and houses. Can't find suitable Sun Peaks accommodation? Check with us and we will try to help with the connections we have in place at Sun Peaks.